Heat shrink wrapping chocolates without melting can be done several ways. It is important to wrap the chocolates at room temperature or with a slight chill to them. Too much chill before or after wrapping can cause condensation. The right machines and materials can produce a professional look that secures products, allows easy opening, and offers excellent clarity. Having a general idea of what you want the finished product to look like will help to determine the right equipment for shrink wrapping. Below are some questions to address before finding the right supplies for wrapping chocolates and heat sensitive products. Will the shrink wrap come into direct contact with the Chocolate? Polyolefin shrink wrap is FDA approved for direct food contact. Thinner film is recommended for direct contact with chocolates to maintain lower heat levels and easier opening. Different materials can change the types of machines and film needed. 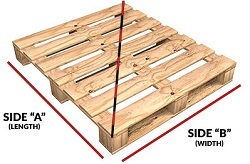 Boxes can enlarge the overall packaging length of the product, requiring larger equipment. Some paper products fold while the film is shrinking causing distorted and uneven packaging. Any additional packaging materials should be considered before purchasing supplies. Will there be bulk packs, individual, or both? Bulk packs can require thicker film and larger machines. Purchasing machines and materials to accommodate the largest bulk pack will offer the ability to shrink smaller single packs as well. How many products will be wrapped daily? Production levels determine the type of equipment needed to meet demand. The wrong equipment can increase labor costs and down times. What is an ideal budget? Efficiency and size are what determine equipment costs. Slower, smaller machines cost less than larger, faster machines. 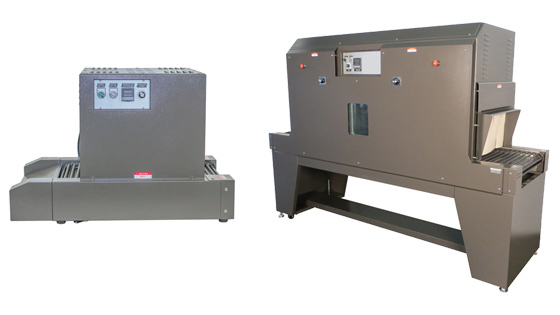 After addressing the questions above you can better determine the type of shrink wrap and shrink wrap machine needed. Below is a breakdown of some material and machine options. Any sealer on the market will be able to seal chocolates without melting. When the seal is made it is only made on the outside of the chocolate limiting heat exposure. The time chocolates are vulnerable to melting is during heat exposure for shrinking. Heat guns and tunnels are the two primary options for heat exposure. Once the film is properly heated it will shrink and conform to the product being wrapped. Both heat guns and tunnels can shrink wrap chocolates without melting, but a shrink tunnel dramatically reduces heat exposure times. To illustrate heat exposure, see the video below (Heat Gun vs Shrink Tunnel), the heat gun takes much longer to shrink the product with focused heat. Heat guns cost substantially less than shrink tunnels, but do not offer the same efficiency. Chocolates are exposed to heat for long periods to achieve a full shrink and professional look. The prolonged exposure can cause melting on some chocolate products. 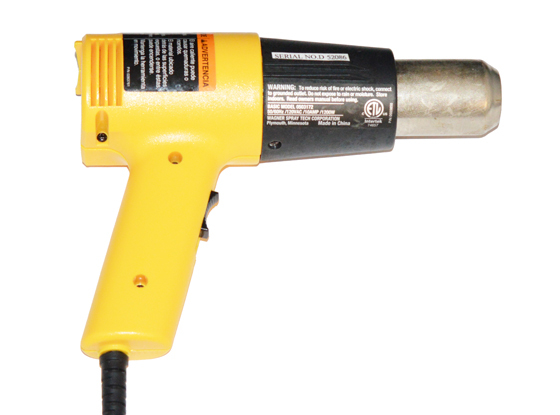 If using a heat gun, we recommend using a lower temperature shrink wrap to limit heat exposure. See the materials section below. Shrink tunnels come in a variety of sizes and can help to reduce direct heat exposure to the chocolates being wrapped. Some shrink wrap materials require less than a couple seconds of heat exposure with the use of a shrink tunnel. After determining which equipment to use, the right material is essential. The thickness of the material needed will be determined by the size and weight of the product. See some shrink wrap options below to consider. Requires a low temperature to begin shrinking. It cannot come into direct contact with consumable products. PVC shrink wrap is often used for exterior box packaging. Depending on the thickness of shrink wrap used, PVC can begin shrinking at 220 – 250 degrees Fahrenheit. Through a shrink tunnel, PVC often requires less than 3 seconds of 250 degree Fahrenheit heat exposure. Drawbacks of PVC shrink wrap are the inability to come into direct contact with consumable products. Other drawbacks are the odor emitted during shrinking and sealing and the rigid feel after heat is applied. Polyolefin is ideal for shrink wrapping chocolates with one major drawback. It often requires a higher shrink temperature than PVC shrink film. The thickness of the shrink wrap determines the amount of heat exposure. Standard polyolefin shrink wrap can require shrink temps from 300 up to 350 degrees. Thinner polyolefin shrink wrap can be used for direct contact with chocolate products. They require lower shrink temperatures and less heat exposure. We recommend nothing over a 60 gauge polyolefin shrink wrap for direct contact with heat sensitive products. Low temperature polyolefin shrink wrap is made for wrapping heat sensitive products including chocolates. It is FDA approved for direct food contact and requires a lower shrinking temperature than standard polyolefin shrink wrap. 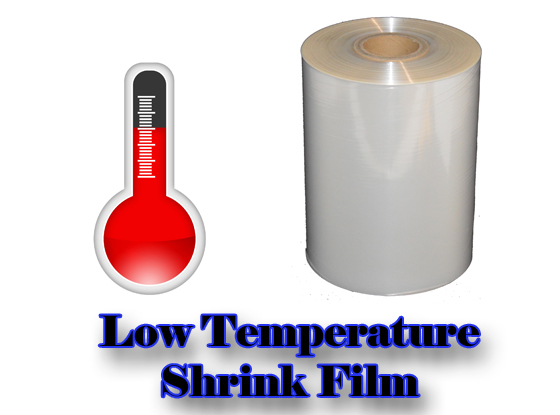 Low temp POF shrink wrap begins to shrink at 230 – 250 degrees Fahrenheit. It is very comparable to temperatures and heat exposure of PVC shrink wrap. It requires less sealing and shrinking time which means chocolates will not melt and products will look professional and stay secure. 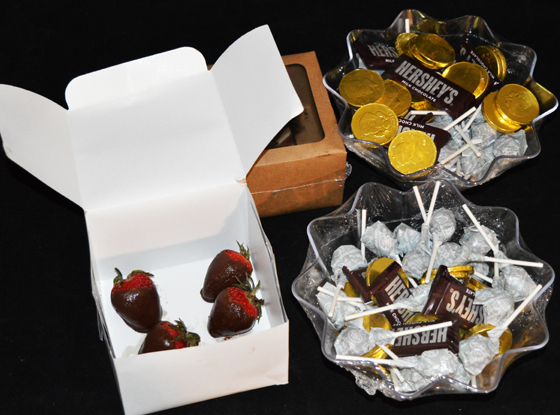 Shrink wrapping chocolates can be done with a variety of equipment and materials. The same finished look can be accomplished with less expensive machines, but the material is important when wrapping chocolates. Choose a material that requires low heat exposure at the lowest temperature. If available in the budget, we highly recommend a sealer and shrink tunnel with low temperature shrink wrap. They will achieve a professional look without compromising chocolate products.